If you have sometime this weekend, you might want to check this list of TED talks on the human brain. The original list curated by TED contains only 9 talks but we also added our favourite talk which is that of Jill Bolte. Jill Bolte Taylor, a neuroanatomist and brain scientist, who one morning woke up to a massive stroke that was gradually paralyzing some of her brain functions including speech, movement, and understanding. 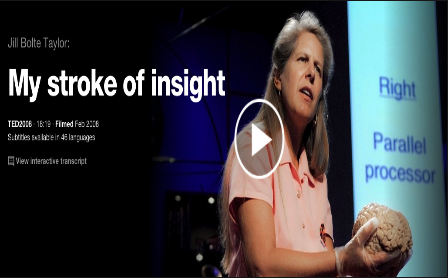 In her popular talk "Stroke of Insight", Jill shares her story of what she went through in the process of regaining her brain functions. These TED talks will provide you with a window of insight into the secrets of the human brain, how it works, and how it ‘defines and connects us to the world and to one another.’ Thanks to Christopher Busch from whom we learned about this list.